Sciaphila nana, a species representing a new familial record of flora of Myanmar, is described and illustrated. 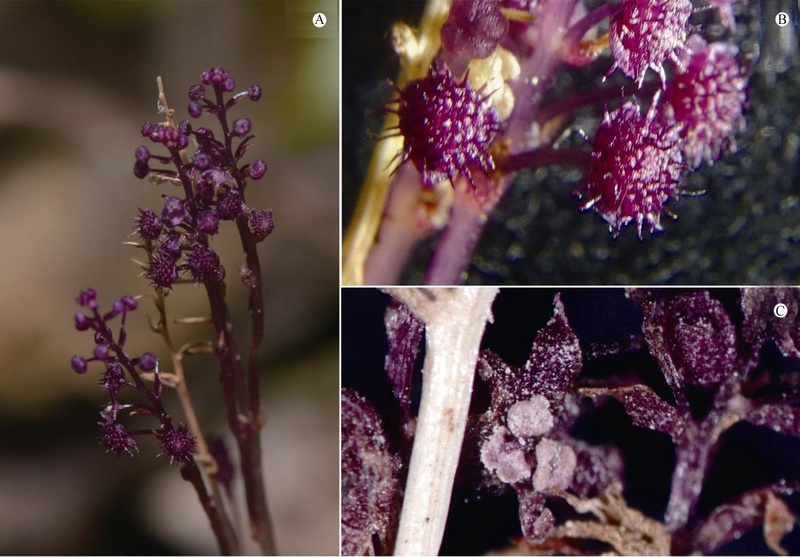 During our botanic survey in northern Myanmar, Sciaphila nana, a species representing a new familial record of flora of Myanmar, is described and illustrated. Sciaphila nana is characterized by having monoecious plants, flowers with six tepals, inner tepals of male flowers having knob tip, three stamens, and stamen 4-celled. The result published as " Triuridaceae, A New Familial Record of Angiosperm from Myanmar" on Journal of Tropical and Subtropical Botany.